Profitec Pro 500 with Grinder Package – Combine the Profitec Pro 500 with your choice of recommended domestic coffee grinder and save up to a HUGE $603 off RRP! The Profitec Professional 500 is a user-friendly machine to allow you to simultaneously brew and steam in order to create your cup of cafe quality coffee at home. Its large cup tray warmer allows easy removal and access to the large internal water tank. 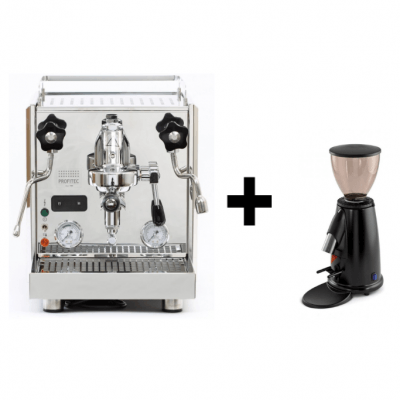 Looking for a Profitec Pro 500 with Grinder Package? We particularly recommend the doserless Bezzera BB005, Macap M2M, Compak K3 Push, Compak K3 Touch, or Macap M4D. 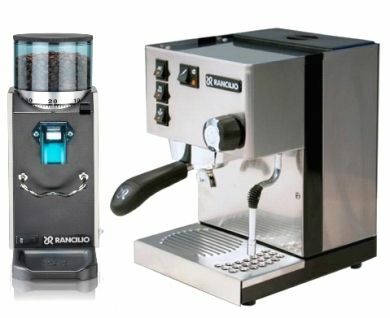 Specifically wanting a doser grinder? Why not match your new Profitec Pro 500 with the Mazzer Mini Manual Doser grinder? Live locally? 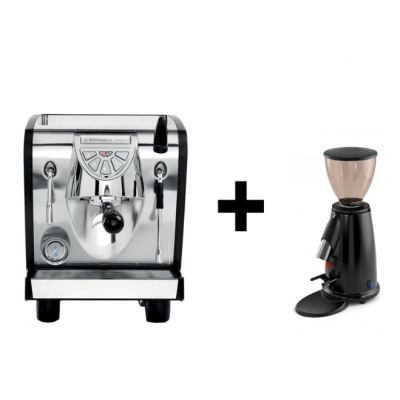 Come in store and create the perfect Profitec Pro 500 with Grinder Package in person! Build to last, Macap grinders have a sleek design. Easy to use and value for money, the M2M (manual) and M4D (digital dosage system) have a small footprint perfect for kitchens where bench space is at a premium. Founded in 1930, Macap manufactures their grinders for over 50 countries establishing their reputation as a producer of high quality, durable espresso equipment. One of the most recognisable names in the coffee grinder market in Australia, Mazzer is a brand with a reputation that pre-cedes it. The Mazzer Mini Manual Doser grinder is perfect for those in small business, office environments, or home baristas who love to entertain. Mazzer grinders are extremely popular and well-respected by coffee enthusiasts from roasters and trained baristas to home users who have come to expect nothing less than quality reliable equipment. After 40 years in the coffee industry, Compak’s founders branched out to form the company which specialises in the manufacture of quality coffee grinders. Hard to beat in the value for money category, the Compak K3 Touch has an electronic dosage which is easily adjustable by the user, while the K3 Push is a manual grinder. Although sleek and easy to use, the Compak K3 grinders do have a larger footprint than many other domestic doserless grinders. Doser – a doser is a chamber at the front of a grinder. Beans are ground from the hopper (bean holder) into the doser chamber. Inside the doser is a star, as you engage the lever, the star turns and distributes the coffee from the chamber into your handle (usually about 7 grams). For the doser to work correctly, the star should be covered. 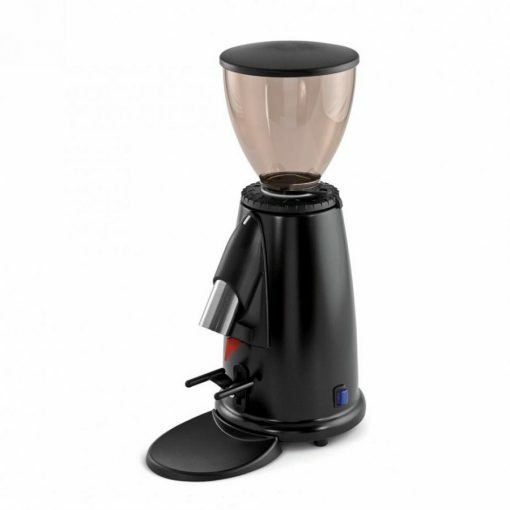 A doser grinder is perfect for high-use environments such as cafes & restaurants, in a small business where staff are regularly drinking coffee during the day or home environment where the user is frequently entertaining guests.